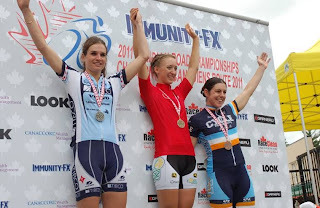 The Canadian National Championships took place two weeks ago in Burlington, Ontario (yes I’m very behind). Many of the athletes competing flew straight from Minneapolis after Nature Valley to Toronto. First up was a 21 km time trial in the cute little town of Belfountaine. The course ended up being a lot hillier than I remembered while pre-riding.. funny how that is! After a minor panic before the start when my shifting mysteriously stopped working, the race went off with no other problems. I rode at max effort into the wind and up the rolling climbs. I finished in 16th overall (2nd U23). Clara Hughes put in an impressive effort and won the Canadian title. 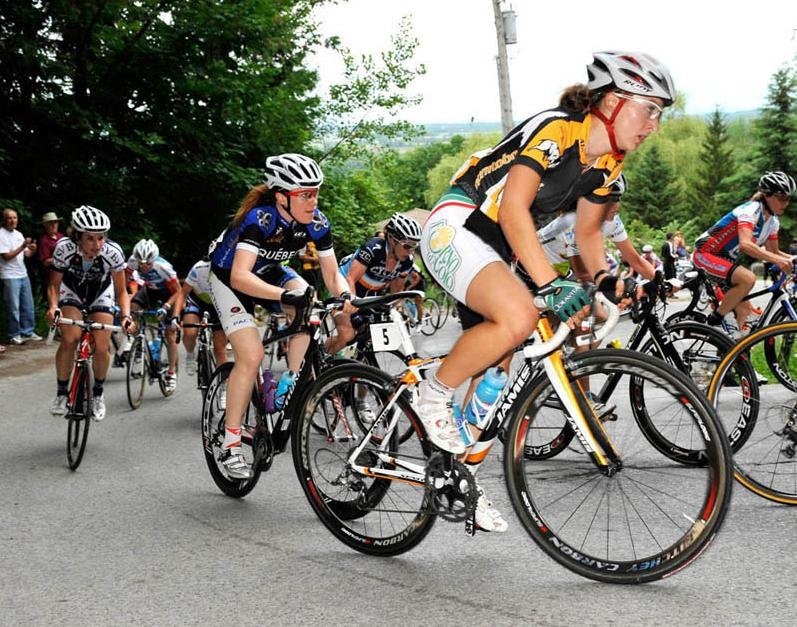 Next up was the 104 km road race, 8 laps for the women, each lap climbing the dreaded “Rattle snake climb”. A1 km climb up the Niagara Escarpment, at times reaching inclines of 21%. It was obvious that this would be the strongest indicator of who had the best form. The women’s race began at 6 pm, which was a little bizarre. It was peak season for a local strawberry farm and they didn’t want the road closed during their business hours, which was understandable. Small breaks went early in the race, but were brought back. The most significant move was by Moriah Macgregor (Juvederm) early in the race, and was only brought back at the bottom of the last climb, very impressive! Breaks in the chase group would happen every time up that climb, and fewer and fewer riders would make it back with every lap. I fought hard to stay in contact with the front group and made the final group of twenty riders on the last lap. I gave it my all the last time up and finished a respectable 8th place overall (2nd U23). I’m very proud of the result; it was awesome to hang in there on such a challenging finish! The race was won by super climber, Veronique Fortin (PK-Express). Also worth mentioning is that the best part of this race was the descent! Apparently we hit speeds of +90 km/h, it sure felt like we were going fast! Next day was the criterium in downtown Georgetown. I was the defending champ going in this year so I was looking forward to the race. The format was a little different than last year with it being a points race instead of a regular criterium. In a points race you sprint every 5 laps. The points go 4 deep (5, 3, 2, 1), and double points for the final sprint. The course was technical, with a twisty descent, leading into a steep climb, and then a narrow finishing straight. After some minor confusion about the format, the race began. I managed to win the first two points sprints to gain a lead right off the start. 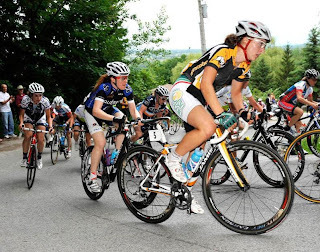 It was after this that Tibco started launching Tara Whitten off the front to force the group the chase. However, Heather (my Colavita team-mate) was able to help me cover attempted breakaways and keep the speed high into the sprint laps. Nearing the end, two riders broke away from the group. At this point in the race, I led Joelle Numainville (Tibco) by 6 points. The points for the finish were 10, 6, 4, 2.. I would have to beat her in the final sprint to keep the lead. Heather and I realized that it was good to have the girls stay off the front and take the higher points, as they posed no threat to the overall. I took the bunch sprint for third on the final lap and managed to defend my title for the second year! I’m currently competing with Colavita in Altoona, PA at the Tour of Toona. A very cool race with equal prize money and distances with the men and women. Stay tuned for an update.